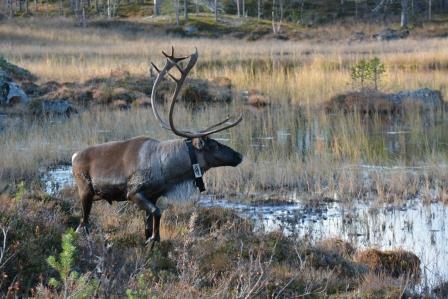 This research will take place at the Kutuharju Field Reindeer Research Station in Kaamanen, Finland (69°N, 27°E) using a semi-domesticated herd of reindeer, each fitted with VHF collars for individual identification. 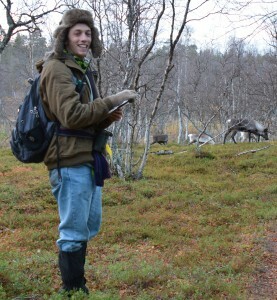 Data collection forms part of a long-term study of this reindeer herd with collaborators from the Norwegian University of Life Sciences, the Norwegian School of Veterinary Science, The Finnish Game and Fisheries Research Institute, and The Finnish Reindeer Herders Association. Strong, J. S., Weladji, R. B., Holand, O. (2013) The influence of male characteristics on mating behaviour and reproductive success in subdominant male reindeer (Rangifer tarandus). 4th annual Quebec Center for Biodiversity Science Symposium, December 11th-13th, 2013, Montréal, Québec, Canada (Abstract; poster presentation). Strong, J. S. (2013) Ecological significance of tooth breakage in coyotes (Canis latrans) in insular Newfoundland and New Brunswick. Memorial University of Newfoundland Biology Undergraduate Research Symposium 2013, March 23rd, 2013, St. John’s, Newfoundland and Labrador, Canada (Abstract; oral presentation).